Students gain a new sense of respect for age and the treasures that accumulate with it. Helpful outlines of activities makes this resource easy to implement into any classroom. Find facts about the city of Atlanta, Georgia. 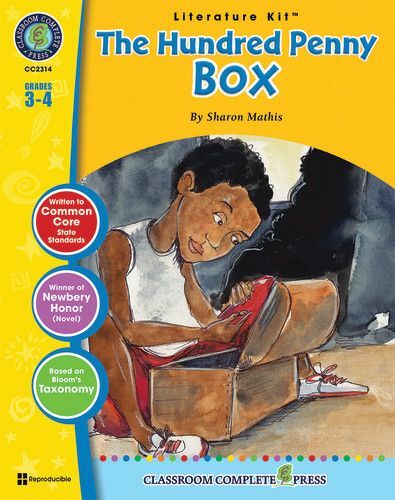 Draw and color a picture of what the penny box may look like. Students explain the sentence "you worry me to death to play" in their own words. Complete a chart by matching vocabulary words to their meanings. Predict what like will be like for Michael with Aunt Dew for the next few months. Write a story describing Aunt Dew's move to Michael's home in her own point of view. Aligned to your State Standards and written to Bloom's Taxonomy, additional crossword, word search, comprehension quiz and answer key are also included. 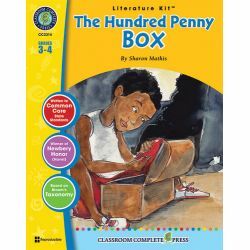 About the Novel: The Hundred Penny Box is the Newbery Honor-winning story of a boy and his great-great aunt. Michael has a 100-year-old great-great aunt who keeps an old wooden box full of 100 pennies, one for each year she's been alive. Attached to each penny is a memory of what happened in Michael's aunt's life the year each coin was minted. Born in 1874, her first coin represents the Reconstruction. The 1930 penny represents the death of her husband. Michael enjoys to hear the stories attached to each penny, but soon finds that his great-great aunt is as old and feeble as the box that carries them.